Rescue A Baby With Me! As an advocate for Operation Baby Rescue I feel I have been given an opportunity of a lifetime to be a part of rescuing and restoring children who are in desperate need of help. I know I am giving a voice to the voiceless. I am helping a child to have a chance to live. To grow up and have the opportunity to learn and experience the love of Jesus! I hold babies often. I cannot imagine my life without them in it. My heart is burdened for hurting kids and my heart has often cried out to God to rescue some of them! Through Operation Baby Rescue – I have an amazing opportunity to pray for children that I will never meet and that I will never hold. But I can still be apart of rescuing them….even from across the world. By praying and by giving! So, I’ll keep writing and talking about it. There’s too many babies in isolated areas with life threatening needs. As I bring awareness, it also allows YOU an amazing opportunity to make a difference. It’s easy too! You can help by Praying…Loving like Jesus…and by Giving! My husband and I have been called to Rescue & Restore. We have had an awesome opportunity to help in our community over and over again when we made the decision to become Foster/Adopt parents. Everytime a child has come into our home from an abusive or neglectful situation, we have felt a sense of helping in their rescue! The Lord has met each need that has been represented in our home. We have followed our hearts and with the Lords guidance we continue to give. It is a humbling as well as demanding job. There are so many children locally, and worldwide that still need Rescuing….and Restoring! 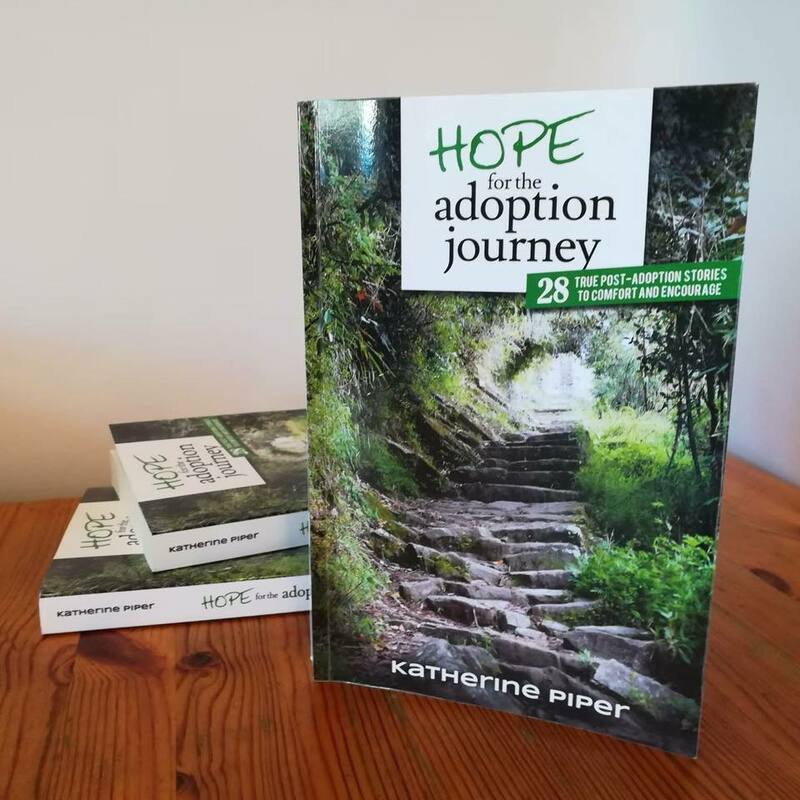 We have also been blessed to help many children and families through our leadership and connections in running The Hope Again Care Center in Winchester, VA. The Care Center is a ministry of The Winchester Church of God where my husband has been on staff for 10 years as the Care Pastor. Every child is worth rescuing! Operation Baby Rescue gives each of us a beautiful opportunity to be able to help rescue a child across the world! So many children, so many people, so many near and far away, that need rescuing! 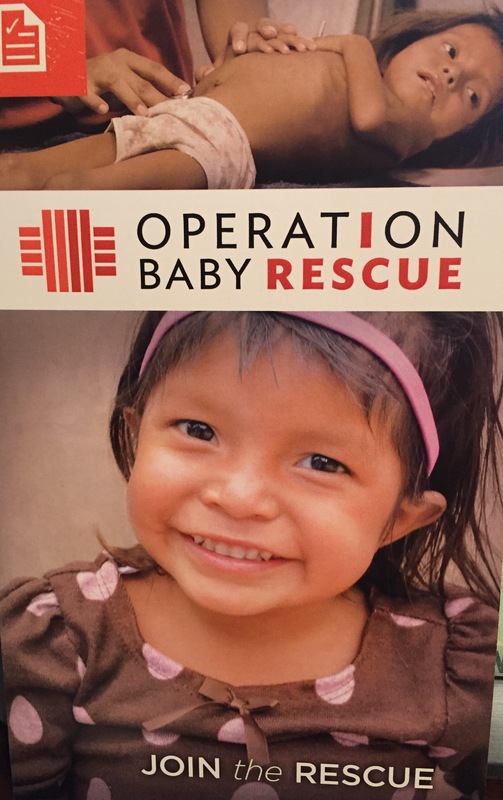 Over 4,000 children have been rescued through Operation Baby Rescue since 2011! And there are so many more that are living moments from death without our help. Please jump on board and Resuce and Restore with me. “I am He who will sustain you. The Lord Rescued me! I was lost and He found me. And oh did I need rescuing…. Skip a Latte. Save a Baby! Will you please consider skipping a Latte…or two or three…and give $5, $10 or even $20 to help fund the rescue of two children through Operation Baby Rescue. Can you imagine not being able to provide your child with any medical care as they lay in your arms dying? Or how about leaving your sick child in hopes that some one may rescue it? I can’t fathom either for one second. I’ve decided to do something about it. I am asking YOU to help make a difference and for the Lord to bless our every effort! I am teaming up with World help and Operation Baby Rescue and would love my family and friends to partner with me. My goal is to encourage everyone of you to skip a latte and save a baby! Do it along with me, once, twice….or as many times as you’d like until January 1st, 2016. We can proudly and boldly do this together! It will be easy to reach my goal if we ALL skip at least ONE coffee and donate the amount instead. It is my prayer that together we can fund the Rescue of Two Babies!! One Child’s Rescue costs about $1,200. That money provides a team to enter a very remote area that is virtually inaccessible . It covers medical treatment, hospital stays and in some cases extensive or prolonged medical attention. It allows for housing and care for family members of the rescued child and after treatment it provides clothing, food and supplies needed for the child and family when the child is nursed back to health. So SHARE this…and Let’s talk about it!! Every lost sinner who has experienced the saving grace of Jesus, knows the victory over sin and death. We all have a story to share with those who don’t yet have a story. Share love. Share hope. Share victory. Share Jesus. As you listen to this song reflect on your story. Is it a Story That Tells Of Him? I love the words to this beautiful song…and I hope it blesses you! If you have ever wanted to Sponsor a Child or give to an Organization that is truly impacting children around the Globe and making miracles happen every day…. Then World Help is the one you’ve been looking for…. I experienced a heart moving opportunity hearing Noel Yeatts speak at a few Leading and Loving it Conferences that I have attended. She shared beautiful stories of her Dad (Vernon Brewer) and their entire family’s passion with World Help. Amazing missions have been and are taking place all over the Globe. Every day, somewhere, they are making a difference! And then came my neon orange (highlighted) moment for me. I got to meet with her. We talked…about our families…our love for the Lord…and both of our service to Him. Then we talked about the upcoming Operation Baby Rescue Mission that was fast approaching in Guatemala. Only briefly into our conversation my mouth spoke directly from my heart….and Yikes….not only had I spoken it out loud, but directly to her. I was now going to be accountable. Not by her, but by God! I told her of my hearts desire to one day be a part of…to make a difference…to help change the world…and be on a Baby Rescue Mission Team! And then I thought….Oh my, what had I just spoken???! How? When? Well, only God knows the exact day and time. The seed was actually planted in my soul…by God himself, not her. He just chose to use her to give me the opportunity. As she spoke of how World Help shares the message of Hope in our desperate and Hopeless World, I couldn’t stop thinking of the children. The children I could see on the screen that she shared stories of, and all of them that are yet to be found. After that initial seed was planted, it has since been watered…several times! I know God gives us the desires of our hearts. And It’s a deep desire of mine. One that I think of often. I find myself reading about the missions that have already happened and also of those that are yet to take place. I often pray for the teams that are sacrificing everyday to share the message of Hope and Life in Jesus. I find myself praying for those sweet babies to just hold on…one more day…until they too can be rescued. You see, that planted seed, has been growing within me. My oldest son Wesley, has also had the privileged to personally speak to Noel Yeatts. (they even took a picture together and she quickly text it to my Uncle saying….Guess who I’m with right now?) My Uncle has been on the board for World Help for years. Wesley met her at one of the heart moving presentations held at Liberty University while he was attending. They share with the students there at convocation often. They are always planting seeds. World Helps offices are located in Lynchburg, VA and in the same community as Liberty, so their presence is known there and supported greatly by the University. Wesley was excited to share with me after he met and talked with her…and YES I was secretly jealous. LOL I can honestly say, that both of us having the opportunity to meet with her was an honor. She took the time…because she genuinely loves people. And God uses her to touch others lives. She has such a sweet, genuine spirit. The way she lights up when sharing the stories of all the lives being changed all over the World by this God sent Organization her family founded….You just can’t help but want to be a part of something so wonderful! It makes your heart move…your gut ache…and awakens a desire within you To Do More! Hearing the devastating needs and then the miraculous stories of how the Lord has met those needs through team after team, person after person….It just can’t help but light a fire under you! Or well, It lit mine! I have been blessed to hear first hand of some of the amazing trips that my Aunt Betsy and Uncle Cotton (Ronald) have taken over the years with World Help. They’ve also been blessed by a visit in their home from a girl they met in India on one of those trips. They live in California and he has served on the Board, along with many other men and women that are helping to change the World through this Organization. God has been using World help to impact children Worldwide. For years they have been furthering Gods Kingdom one Mission, one Rescue, one Village, one Child at a time. They have already impacted over 72 million lives in 68 countries. Amazing! Their approach is this: World Help is a faith-based humanitarian organization that exists to serve the physical and spiritual needs of people in impoverished communities around the world. Our strategy is based on the belief that true transformation is only possible when the needs of the body and soul are addressed simultaneously. If you’d like to learn more or be part of a Mission team, Sponsor a child, or Give, please take the time to read more. 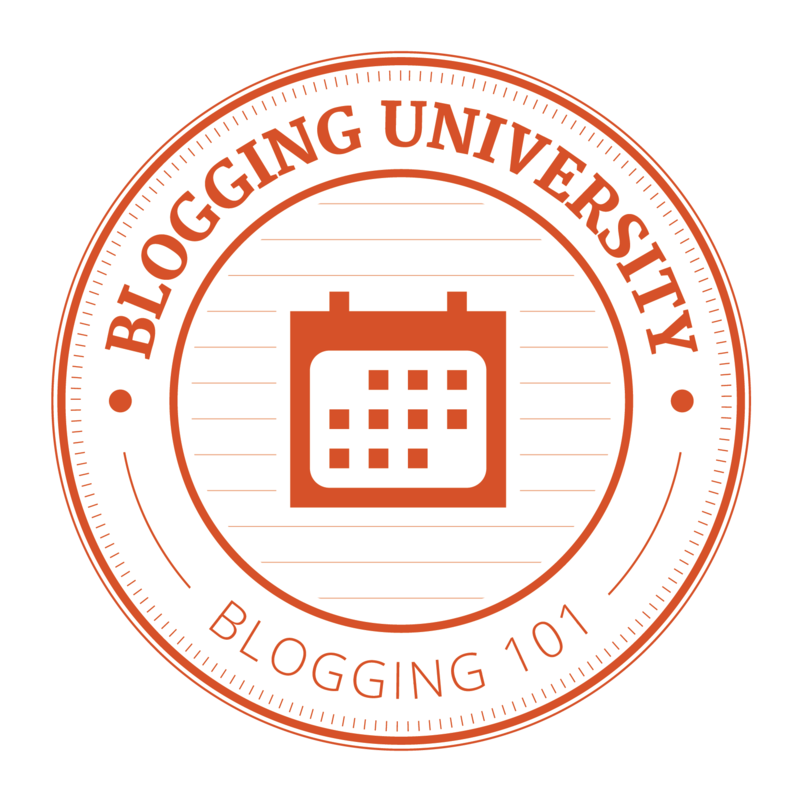 You can go to any of the links on this blog. I Know I will be a part of an Operation Baby Rescue myself one day! God knows exactly when….But I have learned in my years of serving Him, that His timing is not only best for me, but It is always Perfect! I have since planted the seed in my oldest daughter….